Lumens (XLM) are the digital currency of the Stellar Network. You’ve probably noticed one of the main purposes of Stellar is to exchange currencies between countries. So why are Lumens necessary? Well, sometimes they are not. For example, you can use the Distributed Exchange, a place where people can submit offers to the network if they want to buy or sell currencies at a specific rate. If there are no offers available to transfer USD to EUR, Lumens can be used an intermediate coin (and most often are). Thus, you can exchange USD to XLM and then XLM to EUR. Whether the trade requires lumens or not, the trader must still pay a very small transaction fee in XLM. You’ll read more about that soon! You can look at some of the top assets being traded on the Stellar Expert Asset Viewer. Lumens can also be incorporated into other applications built on top of Stellar. Similarly to how Ether (Ethereum currency) is used to buy and sell cryptokitties. Now that you have a complete understanding of what Stellar Lumens are, you may be interested in buying, selling or (hopefully) receiving them! Currently, it’s very difficult to buy Lumens with cash. Most exchanges only let you purchase Stellar Lumens with Bitcoin and Ethereum. That means you’ll have to buy Bitcoin or Ethereum with a fiat currency (USD, EUR, etc..) on websites like CoinBase (the top place to buy), and then transfer it to an exchange where you can buy many other altcoins, such as Lumens (Search for the code: XLM or STR). The resources will go more in-depth on this. Don’t worry, It may sound a little complicated, but it’s actually pretty easy! Selling can be done on the same exchanges that you buy it on. You’ll most likely get Bitcoin or Ethereum in return for it. Thus, you’ll have to send that Bitcoin or Ethereum to back to CoinBase or another place that lets you exchange Bitcoin or Ethereum for cash. 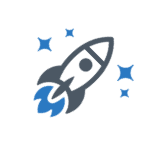 Stellar, similar to other cryptocurrencies, works with Addresses (public keys) and Secret Seed (Stellar’s version of private key) and has a variety of wallets available for use. Check the exact instructions for each wallet in order to get started. Don’t let that be overwhelming. It’s just a bunch of characters that the computer uses to make sure you can receive and send lumens, whilst keeping track of all the transactions. 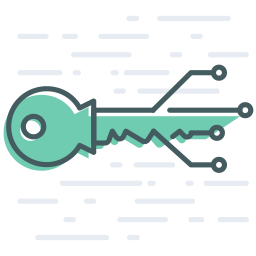 The public key starts with a G while the secret key starts with a S. As always, ensure your private key is stored properly. Private keys will allow you to access your money in case your computer crashes or another disaster happens. If someone else gets access to your private key, they can steal your money, so don’t share it with anyone! The next section will go into more detail on how you can securely store the Lumens that you bought. the central place to go for understanding all the aspects of Lumens. All of this content was written by the Stellar team. Going through this page will give you a full understanding of Stellar Lumens. A very easy to understand video on buying Stellar via Coinbase and Binance. After purchasing, your Stellar will be kept on the Binance exchange, and you can then move it to a wallet. You’ll see lots of scams with fake opportunities to receive Lumens. Stellar put out this official blog post to help you avoid scams. A hardware wallet to keep your Lumens as secure and safe as possible. If you are accustomed to buying cryptocurrencies and storing them, I’d also recommend Changelly. It’s not your typical exchange, you send the Bitcoin or Ether amount of Lumens you want to purchase, and they’ll send them directly to your wallet. This can be used to search through the public ledger, view the latest transactions and offers, and see the top assets on the ledger. Looking into the developer documentation, we can see how pathways work to get from one currency (asset) to another currency. It’s a bit technical, but will help you make sense of it all.